Some days I don’t have a ton of time to write out a long post, so I have decided to just to throw some tips randomly up here on the blog to share the things I love! 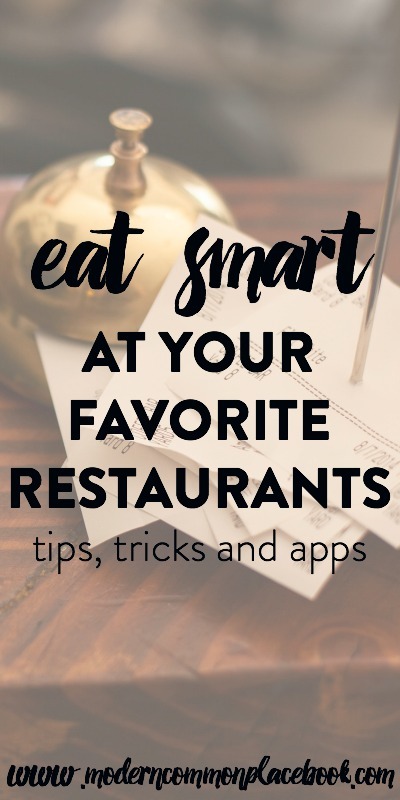 Today I just wanted to share some of my favorite restaurant tips. What most people don’t know about a restaurant, is that they hide calories. Normally, at home, if you make a salad, you are sure that it is a healthier option that if you ate a hamburger. But, at a restaurant, all bets are off. At The Cheesecake Factory, their Caesar Salad with Chicken is 1510 calories! That’s my daily calorie intake. Eat This Not That! is one of my favorite sites ever – sometimes I go on just to play their calorie guessing games. Yep. Sad, I know. So, to move on, my real number on tip is to check the restaurant’s calories per dish before you go. I write my top 5 dishes down on a piece of paper and slip it into the restaurant, so I don’t accidentally order the 4,000 calorie pasta dish. My favorite website for checking what to eat is Eat This Not That!. They also have an awesome health book you can see here. They do a good job telling you which burger to get. 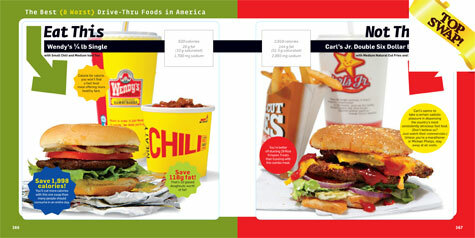 You can still get a burger – just get the one with lower calories! Also, most restaurants have their nutrition facts on their websites. Pretty often, my husband catches me on my phone before I order at a restaurant checking calories :). If I get stuck in a restaurant and haven’t checked calories yet, I always use the Fast Food Calorie App. I love this app! Another tip? Don’t add lemon to your water. My husband taught me this. Lemons in restaurants are the #1 bacteria-ridden food item in restaurants. Facts and stats here. Save yourself from illness, skip the lemon. Also, when I go to a restaurant that has includes a side of rice or potatoes, I ask to substitute green beans. My favorite meal at Miyo’s, an Asian restaurant here in town, is Szechuan Beef with Green Beans instead of Rice. It’s amazing. A few other things I do? I always order water. I always ask for my dressing on the side. 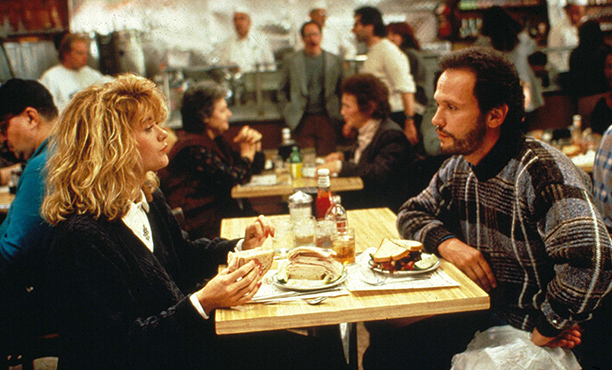 Anyone thinking When Harry Met Sally here?!? I sometimes order just appetizers and a salad for dinner. Last time we went to Outback, they were having an “All You Can Eat Shrimp” option that you could have added on to a main order. My husband got a main order, we added the shrimp on to his order, and I got all the shrimp I wanted with a side salad. I didn’t even order a meal :). So, those are just some of my tips! Please share your favorites with me down below! I’d love to try some of them out next time :).